Special Adviser to the President on Niger Delta and Coordinator, Amnesty Programme, Prof. Charles Dokubo has promised tp work for President Muhammadu Buhari’s victory in the Niger Delta, in 2019. “Mr. President wants to win in our region and the entire country. I need your support in this regard. It was the All Progressive Congress that gave me this position and whatever I can do to support the party and make it win, I will do”, he remarked. 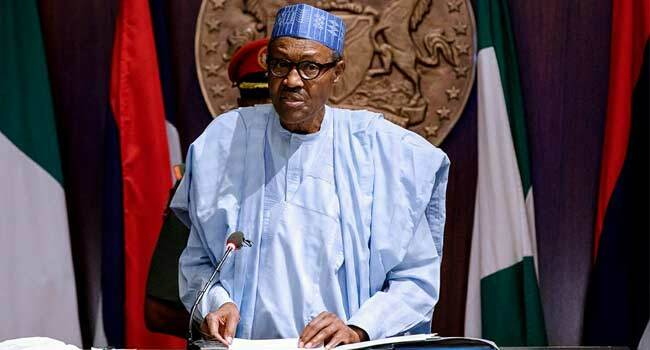 Also, leaders of various camps under Phase One of the Presidential Amnesty Programme expressed willingness to work towards Buhari’s re-election. ‘General’ Pastor Reuben, chairman of the forum of Phase One leaders of ex-agitators, stated this yesterday, after a meeting at the Sheraton Hotel and Towers in Abuja, with over 30 Phase One leaders of Niger Delta ex-agitators in attendance. There, Dokubo solicited their support to ensure Buhari’s re-election in the forthcoming election. Vote Buhari 2019 for the continuity of The lack of ideas on how to tackle the senseless killings by Fulani herdsmen. End of slaves which worked for fulani fraudulent criminal sultanate political government with its emirates under the dead fraudulent political name Nigeria are well known- the said Dokubo won’t be different. This is the natives Disintegrated Republics- Biafra Republic of south east, Niger Delta Republic of south south, Oduduwa Republics of south west, North East Republic, North West Republic, North Central Republic- any this territory native who stand for fulani fraudulent criminal sultanate political government with its emirates under the dead fraudulent political name Nigeria, must go down with the enemy in this final conquest of the Liberation Revolutionary warfare of the natives under the natives Disintegrated Republics which began May 30. 2018 to finish in Sokoto the sit of the satan of this natives territory, which secures the natives existence and future in 21st century world. God given Victory is the natives’. Only the Sword decides. God Is With Us!! !